Knowing when to send your message at the right time is crucial - it’s not rocket science either! Knowing when your customers are likely to be thinking about making a purchase and when they are likely to be close to their phone will improve the results of your campaign. You could even send a campaign from a reply number asking customers to reply to the message to receive a coupon or be added to a specific list! If for any reason a text message to a UK mobile number is undelivered we will refund the credits back to your account. A great way to build a list of contacts is to use an SMS keyword. Keywords are the perfect tool to grow your bulk SMS marketing contact list that you can advertise on posters, direct mailers, emails, adverts, your website and on social media. With Textplode, you can create a keyword on our short number so that when a customer texts in, you can automatically add their details to a list or forward the data on to your email address or phone. 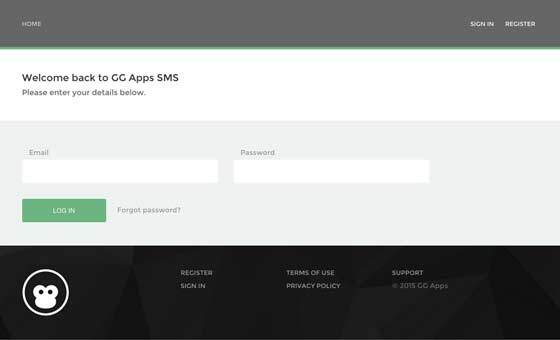 With Textplode's white label platform you can become an SMS provider to your customers through a site fully branded for your company, with no mention of Textplode anywhere. You can charge whatever price you like, thereby creating an additional revenue stream for your company. Contact us to find out more about becoming a Textplode reseller. I have been using Textplode for several years and after using other platforms I find it much easier to use, great value for money and the delivery rate is excellent. The support is also excellent. I would recommend you give Textplode a try. We’ve used the Textplode platform to promote BodyPower Expo as part of our marketing strategy and we found it an excellent tool. As marketing collateral becomes more and more digitised and people engage via mobile platforms, we found Textplode to be a cost-effective way to capitalise on this trend. I've been using Textplode for the past year or so now, and it is far cheaper and easier to use than the provider that's built into our gym management system. I often use Textplode to send offers and promotions to expired members to get them back!